Foam systems have special application system that discharges a concentrated mixture of water and foam that releases a stream of foam through the extinguishing unit (generator, sprinklers, portative wheeled unit). Covers the material with a fine coat of foam to avoid re ignition of the fire once the degree of flammability (flashpoint) of a flammable product is reached. More maintenance cost than a conventional system. 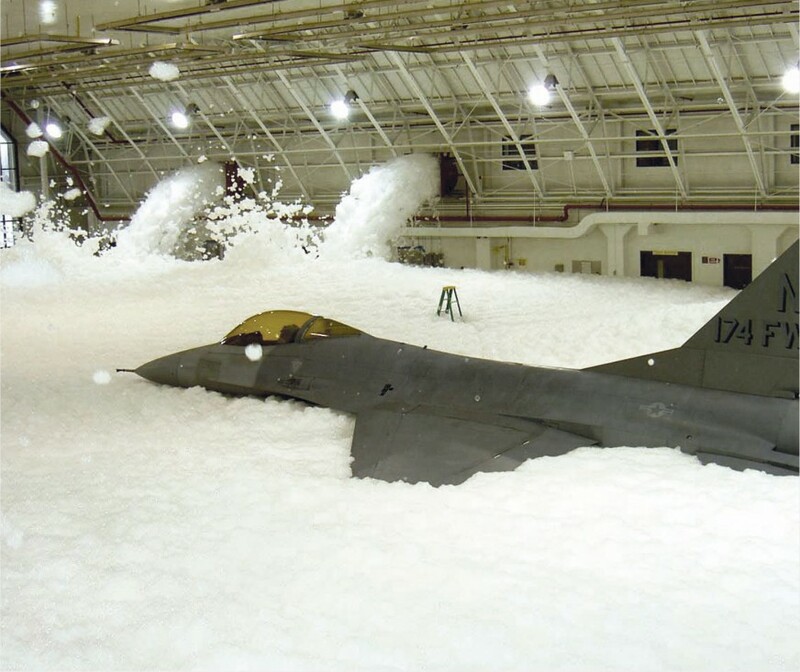 A foam system can prevent explosions and human losses.